The Strzelecki Track is a 472 km unsealed rural road that links the towns of Lyndhurst to Innamincka in the north east of South Australia. It is a vital supply link for major oil and gas facilities located near Moomba, in the Cooper Basin, and is an essential transport corridor for outback communities, tourism and pastoralists. The track is subject to occasional closure during the winter months when the road is impassable due to flooding. The unsealed road contributes to higher direct freight costs (due to slow and unreliable travel times), high supply chain costs and increased crash potential. 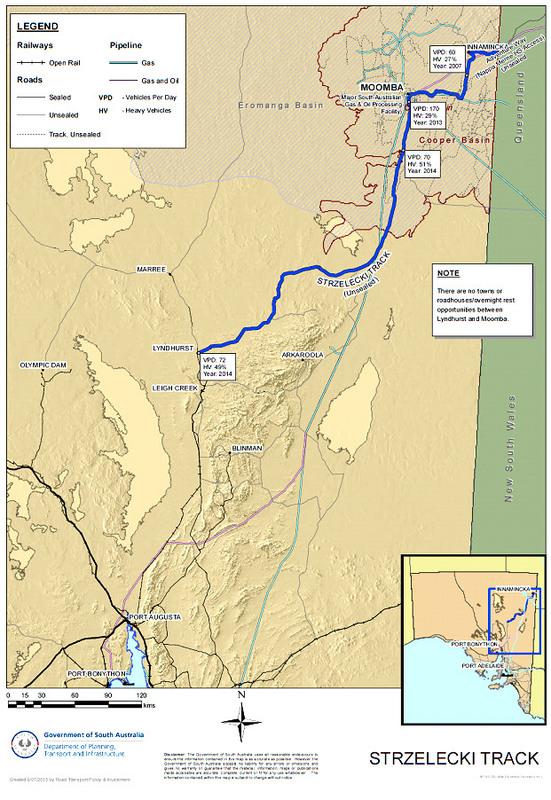 The Strzelecki Track upgrade and sealing project is a key recommendation in the Roadmap for Unconventional Gas Projects in South Australia, released in 2012. It is also identified as a priority project in South Australia’s Integrated Transport and Land Use Plan, released in July 2015. The project will involve the upgrade and sealing of the Strzelecki Track and the 26km Adventure Way road link from Innamincka to the Queensland border. targeted floodway works along the road and a major bridge structure over the Strzelecki Creek. For further information about the project refer to the Project Fact Sheet (PDF, 74 KB) and the Summary of benefit components (PDF, 72 KB). In February 2014, the South Australian Government submitted a business case to Infrastructure Australia for assessment. On 29 September 2015, Infrastructure Australia announced that the Strzelecki Track upgrade and sealing project achieved an "early stage" rating on their Infrastructure Priority List. On 17 February 2016 the Australian 15 Year Infrastructure Plan and Infrastructure Priority List was released. The Strzelecki Track sealing and mobile coverage project was identified as a Priority Initiative. 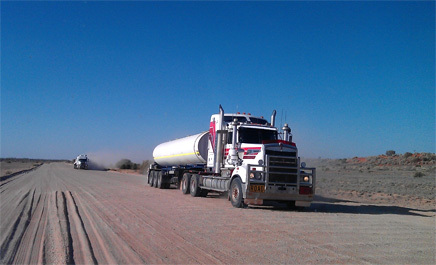 The South Australian Government continues to work with Infrastructure Australia to advance the project. The project has a high potential for significant private sector involvement in both capital and operating expenditures. It is expected that the oil and gas industry and associated sectors in the Cooper-Eromanga Basin, and other users, will derive substantial benefits from a sealed road.